and WHAT you can do about it – including 18 separate tips. If you would like my support with your LinkedIn profile, please take a look at my LinkedIn Mastermind Package and get in touch. Social proof- LinkedIn is a great way to show people that you really are an expert in the things you say you are an expert in. You can get recommendations and endorsements, link articles and prove your membership of other networks (for example there are some LinkedIn groups you can only join if you can prove you are a member of a certain organisation). So, hopefully I’ve convinced you a little that LinkedIn matters. But how can you make effective use of it? Sadly, some people fill out their profile- not well- and then forget the platform exists. They are missing out! Try to link to more people you know. Are you up to date on requests people have made asking to link to you? Is Linkedin giving you any suggestions to link to people you might know? Can you link to people in your address book (there is a quick function for this)? When you put a quick post or an article, it goes in front of more people. The other great thing about LinkedIn is just that it makes such an easy way to keep up to date with people and to keep in touch. I hardly ever use business cards. I just link to people I meet on LinkedIn. LinkedIn gives reminders of birthdays, when people change jobs or celebrate a work anniversary so you can show someone you are thinking of them and not need to spend a lot of time doing so. This is the one proposal I’m making which I think might be too much work, but I have to mention it as it has been excellent for me. You can make a group for all the people who are interested in an area of your expertise. The advantage of this is that it makes it easier for the right people to find you, makes it more likely that people will link to you- plus there is a facility on LinkedIn which means that you can email the group (everyone who is signed up to receive such emails) once a week through LinkedIn to keep them updated about relevant issues. Aside from setting yourself a bit of a target for connections and trying to get more people to see your articles, the other main stat you can measure is for profile views. You can set yourself a target of being in the top 5% or top 1% most viewed profiles in your network. LinkedIn gives you these stats very easily. This can be motivating because generally when you work on/update your profile, you get more views. You can test and see what works. This one very much depends on who you want to link to- but you should make it obvious to people that you are keen to link on LinkedIn. LinkedIn has a very simple facility to put articles up. When you post articles, they appear on your profile so there is a permanent record that shows the different areas that you know something about. Posting articles also brings new people into your orbit on LinkedIn because the system will show your articles to people who are interested in the same things that you are (even if they are outside your network). Remember to add tags to the bottom of your article to help LinkedIn do this. Often people have material on other platforms that they can use. For example, blogs posted on their website that they can repurpose and post on LinkedIn. You could put on one a week for the next year, or one a fortnight. Or you could compile some of your best posts and put links back to your website from the LinkedIn article, to drive traffic there. At least some of the people who read your article on LinkedIn will have no clue who you are and might not bother looking you up or going to your profile page to find out more. So, I would recommend putting something at the bottom of every article you post. sharing other people’s articles so you are known as a collaborative person on LinkedIn (hopefully at least some people will reciprocate at some point). Asking some of your close contacts to share your LinkedIn article (for example by sharing it with them in an email, or a Twitter DM). Of course if someone does share your LinkedIn article, the great thing is that now everyone in their network will be able to see it- even if those people are not in your network too! Basically it is good if you can promote your LinkedIn articles a bit both on LinkedIn itself but also via other forms of social media. Of course it is definitely more important to get views on your website if you have one than on LinkedIn, so promoting those articles should generally take priority- but a tweet now and again can’t hurt. The article I posted above will help here. If you have an automated system to post on social media, don’t forget to include some LinkedIn posts too. 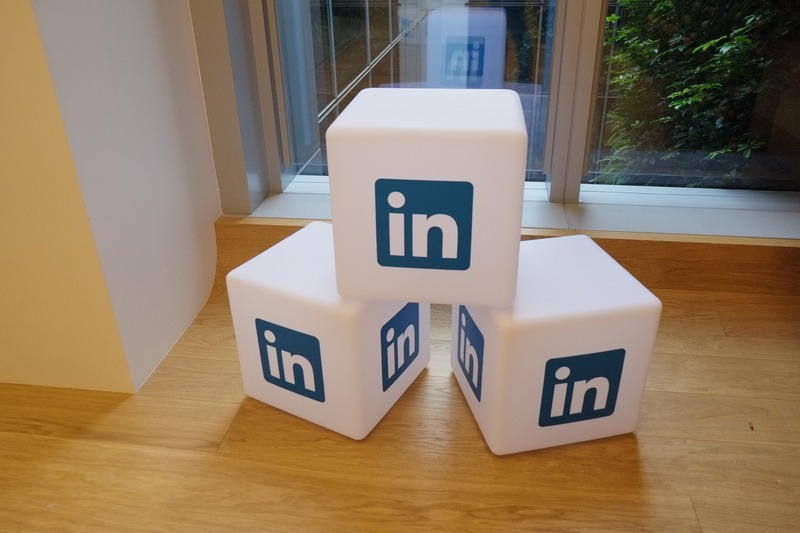 As not enough people post on LinkedIn regularly, you will stand out if you do! It’s up to you if you want to pay for LinkedIn Premium (in certain roles like recruitment it is essential in my view), but they will probably give you a month or more for free- I’ve had it free a couple of times and a job role paid once. If you cancel at the end of the trial period, you pay nothing. Linkedin Premium allows you to search more people and have more access to your stats about profile views. Consider writing one article of original content just for LinkedIn, (as opposed to just repurposing articles and putting them on LinkedIn), spend a decent amount of time on it and send people there via your other channels. Get influential contacts to comment on it/share it to make sure that it is seen as much as possible. If you don’t want to write something entirely original for LinkedIn for reasons of time, at least make sure you think carefully about what your LinkedIn audience would like to know and adapt it to suit them. To give an example, I wrote this article about influence some time before launching The Influence Expert. I encouraged some of my contacts to comment on the article, which gave it a lot more exposure and attention- and was useful feedback for me, at the same time. Look at my profile for an example. It’s another way to sell yourself and to make your profile stand out. What more could you do on your profile? Profile picture- The photo should be a professional headshot, with no-one else in the photo, looking directly into the camera. Headline next to your picture- Make sure that this is really the thing that you want to be most known for and not just the first job listed on your profile. Summary- A lot of people either don’t have a summary section, or have a poor one. You should spend time on yours and use it to introduce people to your work, your achievements and your passions. If you are looking to move into a particular field or gain more experience in a particular area, you can put it here too for employers/co-collaborators to see. Skills section- Here you can list your main skills and receive endorsements from your connections, as a form of social proof. Or course you should also take the time to endorse some of your connections in turn. Recommendations- You should ask your colleagues/contacts to recommend you for key parts of your profile. You should also recommend a few people yourself. Explaining every section- Just like on a CV, there should be no gaps in your work history. Also, you need to make sure that the work you did is clear to the person reading it- just putting your job title isn’t enough. Companies/Groups- Following some companies and being part of some groups show what your interests are and that you are interested in collaborating with/learning from others. You shouldn’t boast on your profile but you should be confident about your skills and achievements. Many people have a tendency to underplay the impressive things that they have done. Try to think about how your profile would look to others, especially to people who are learning about you for the first time. The article I posted above explains why this is an opportunity that you should take advantage of. It is free and will take you half an hour! Anyone who you employ can have the company logo on their profile, which will then click through to the company page. It makes you seem more impressive and professional and really isn’t much work- it doesn’t matter if you don’t put very regular updates (but you shouldn’t completely neglect the page). It is a great way to get a bit of extra attention and would be of interest to potential clients/collaborators. Something else which is important- and I hope is part of your thinking process already for your personal brand, is which is the area where you most want to demonstrate expertise. If you want to be know as the expert in X thing going forward, of course the articles you post, people you link to, endorsements you want etc should reflect that. One of my favourite things about LinkedIn is that it allows you to learn from the most brilliant people in your field. You can read their articles and look at the succession of jobs they have had to ‘reverse engineer’ their careers and see how you might be able to get to their position one day. The other thing is simply that you can learn from how they use LinkedIn. Of course, don’t assume that just because someone is an expert in one field that they are necessarily good at LinkedIn- but it is likely that they will know something about branding and about positioning themselves. It is good to find a few people whose LinkedIn profiles and use of LinkedIn you like and use that to make your own profile and your own experience the best it can be. Of course, I am not talking about copying- but if you see something that seems clever to you, maybe you can use it in your own way. 18- Any one of these things will help! Even if you did just a few of the things I have listed, it would help. Most of them will take an hour maximum and some of them can be achieved steadily over time. Just by making the commitment to try to improve your LinkedIn profile, you are taking a great step in building your personal brand. Remember, building your personal brand is a marathon, not a sprint. It is something you will do for the rest of your life. Remember, if you would like my support with your profile, please take a look at my LinkedIn Mastermind Package and get in touch. Also, if you sign up for my email list I will give regular tips about growing your influence and building your personal brand. Good luck- I hope you end up loving LinkedIn as much as I do! Thanks as ever for your support, Felicity!